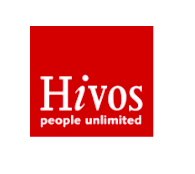 Hivos is an international NGO that promotes sustainability in specific commodity groups. Hivos has used true pricing in its campaigns to initiate positive engagements with commodity production systems in Africa, Asia, and other regions, giving them actionable advice on further improving their financial, social, and environmental performance. Hivos commissioned the Impact Institute* to create a business case for implementing the Living Wage in Kenyan Rose farms for use by all actors in the supply chain and to influence CSR. Our analysis showed that farmers earn less than the living wage. The results pointed out that closing the living wage gap costs €0.02 per rose. Strategies to close this gap were presented in our report. The results of this study sparked Hivos and Fairfood International to start the Living Wage Lab so that stakeholders can collaborate for more sustainable supply chains. Hivos can also stimulate cooperation across the supply chain, including at producer and farmer level. The study also presented the increased willingness to pay; therefore, Hivos can justify a higher price for certified roses by presenting the decreased living wage gap.